A lot of the tortilla recipes shared on the Easy Foods blog require a fair amount of time to complete, but that’s not the case with the one for today. 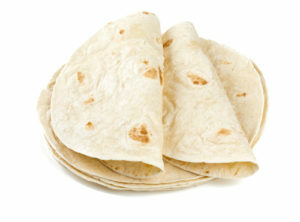 Learn how to prepare tasty tortilla wraps with chipotle mayonnaise in just fifteen minutes. Here is what you’re going to need to prepare them. Preparing the mayonnaise is simple: simply stir all of the ingredients together in a small bowl. When you’re ready for the wraps, begin by spreading the chipotle mayonnaise you just made evenly across each of the four tortillas. Top all of the tortillas with the cabbage, your favorite protein if you so desire, and a sprinkle of the blue cheese. Follow by wrapping each one up and making sure they’re secure with bamboo picks. All you have to do next is chill them in the fridge and you’re ready to serve when it’s time to share your wraps with friends and family!